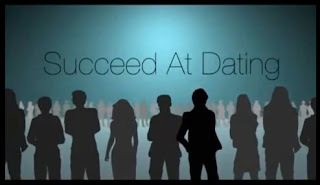 how to talk to women, talking to women, attract women, how to keep a woman interested, how to impress women..
Alex Coulson from Succeed at Dating gives Simple techniques for talking to women and creating statements out of questions.. Picking up women tips and advice, a lot of guys have trouble keeping the conversation flowing after approaching a woman, conversation skills, talking to women. How to keep the conversation going in a fun, playful and interesting way.. The Interview approach when talking to women can instantly kill any attraction.. eg, how old are you?, where are you from? When you are engaged in a conversation with a woman, it is always better to make statements that elicit a response from her rather than simply asking questions hoping to get a response. In this fashion, well selected statements can even prove to be better than asking open-ended questions, because asking any form of question tends to make it seem as if you are chasing the women and are trying to keep the conversation going. However, by making a simple statement and then allowing her to choose to respond on her own will reverse the interaction and have her chasing after you. For example, instead of asking "Do you go to the nearby university?" you can say "You must go to the college." This statement appears to be a question, but it technically isn't and is much less approval seeking than a direct question. It's just so easy to fall into that "interview" mode, you are right. We have to really make it a habit of thinking of new and creative ways to qualify women, and entertain them at the same time by making a really funny conversation right away. I think it takes practice!